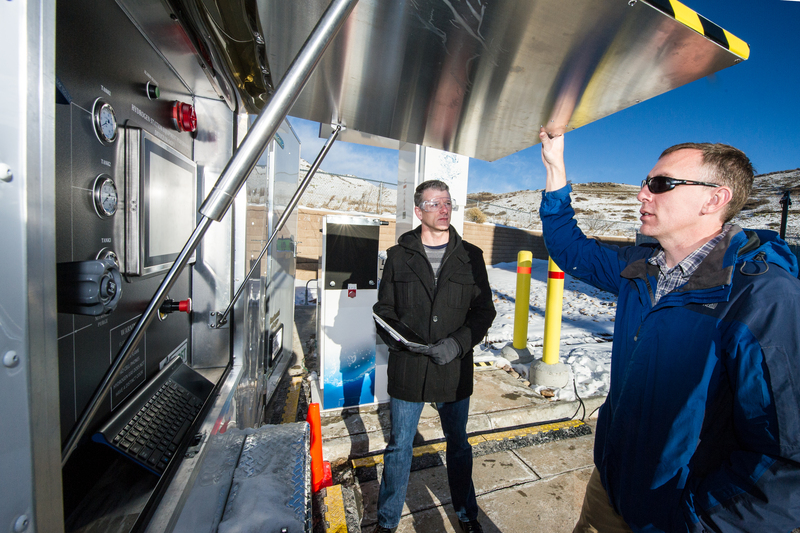 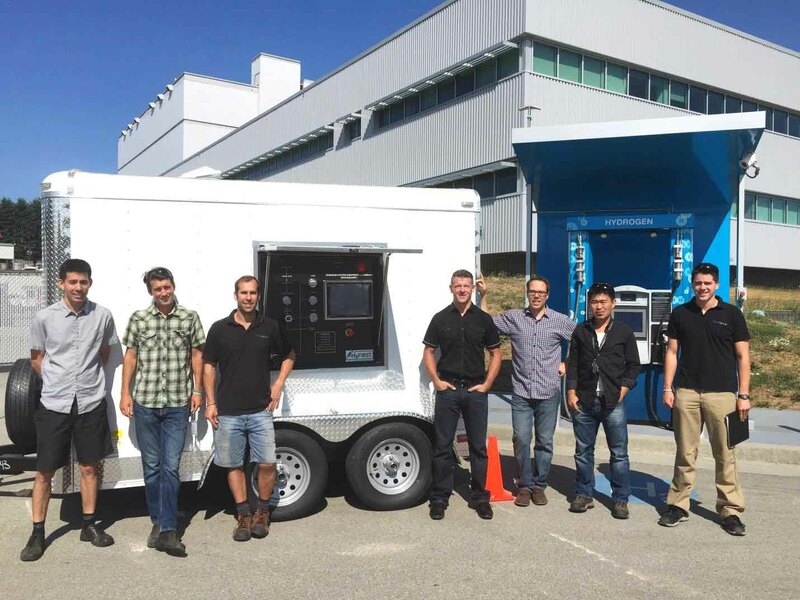 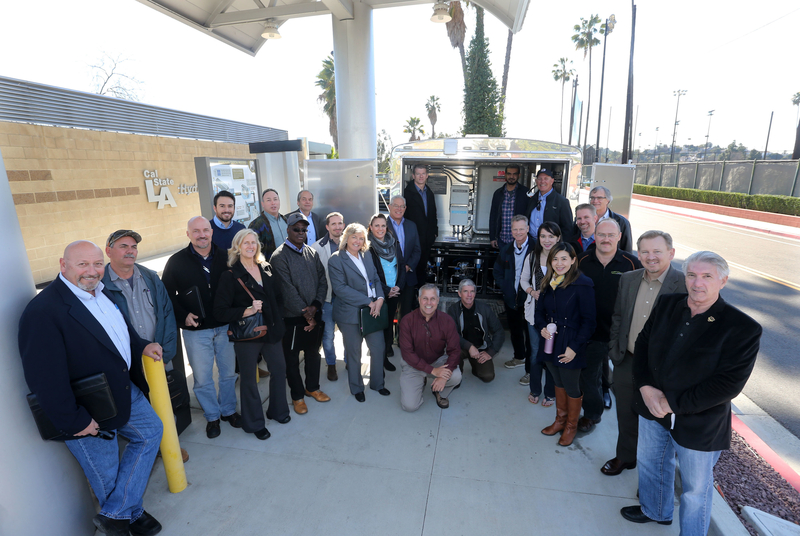 With funding provided by the DOE Fuel Cell Technology Office under the H2FIRST project, Sandia National Laboratories (SNL) and the National Renewable Energy Laboratory (NREL) contracted with Powertech Labs to develop and build the Hydrogen Station Equipment Performance (HyStEP) Device. 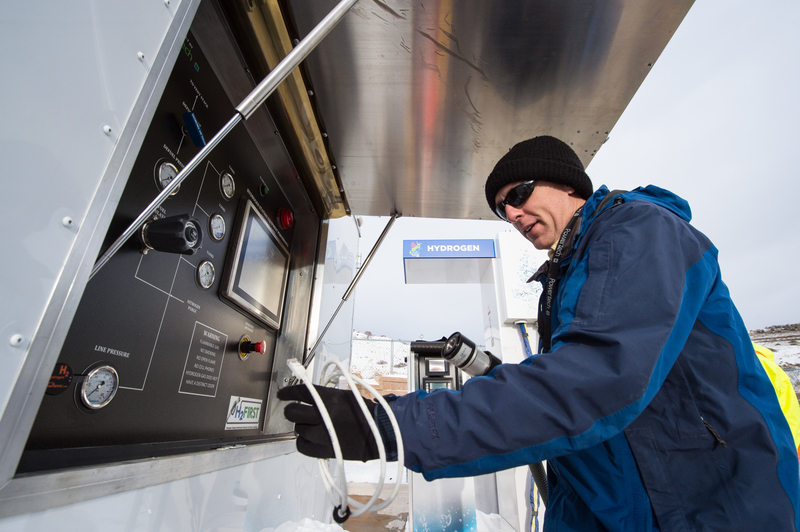 The primary purpose of the HyStEP Device is to be used by a certification agency to measure the performance of hydrogen dispensers with respect to the required fueling protocol standard. 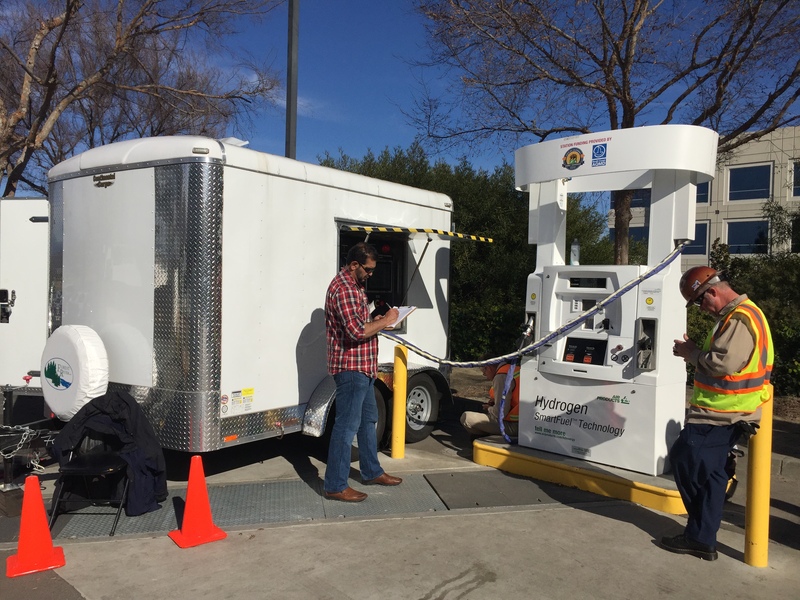 Specifically, the device has been designed to carry out the test methods of CSA HGV 4.3 to measure that stations follow the fueling protocols standard SAE J2601-2014 including IrDA communications per SAE J2799. 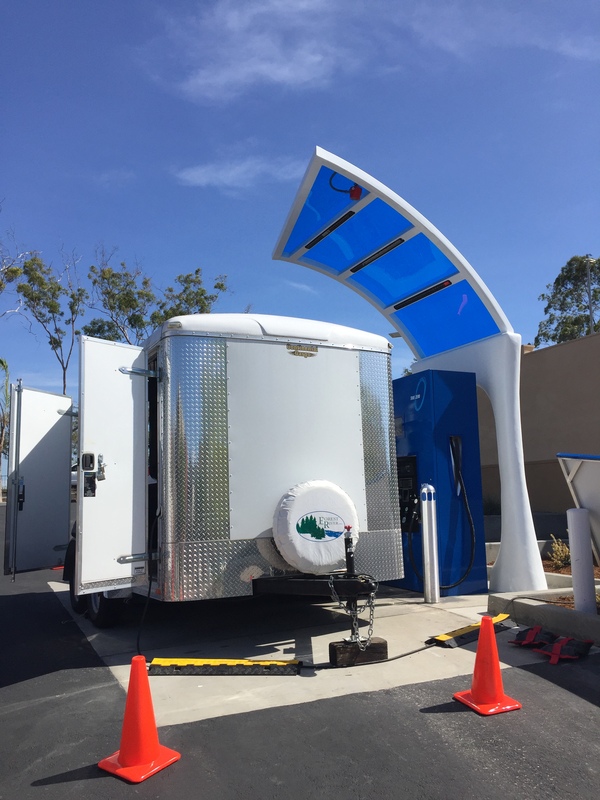 The HyStEP Device was developed to help reduce the time to commission a hydrogen station. 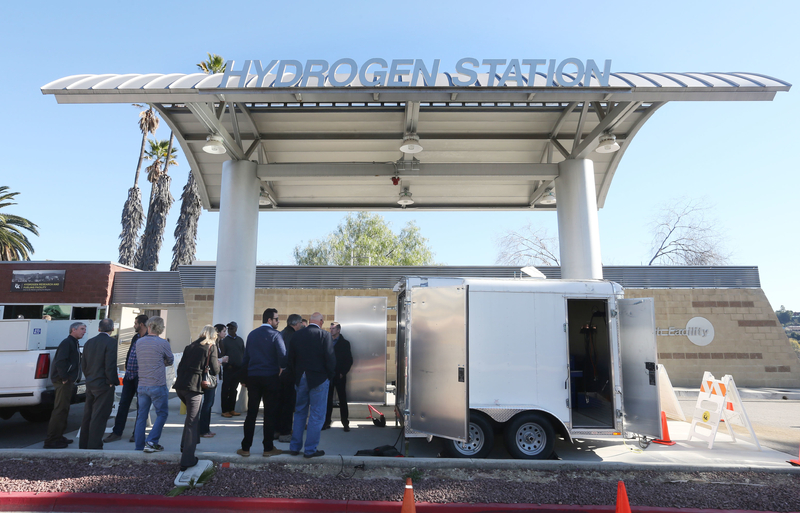 As the figure above depicts, the current practice of hydrogen station acceptance can take many weeks to several months because each vehicle OEM conducts serial testing and evaluation of stations. 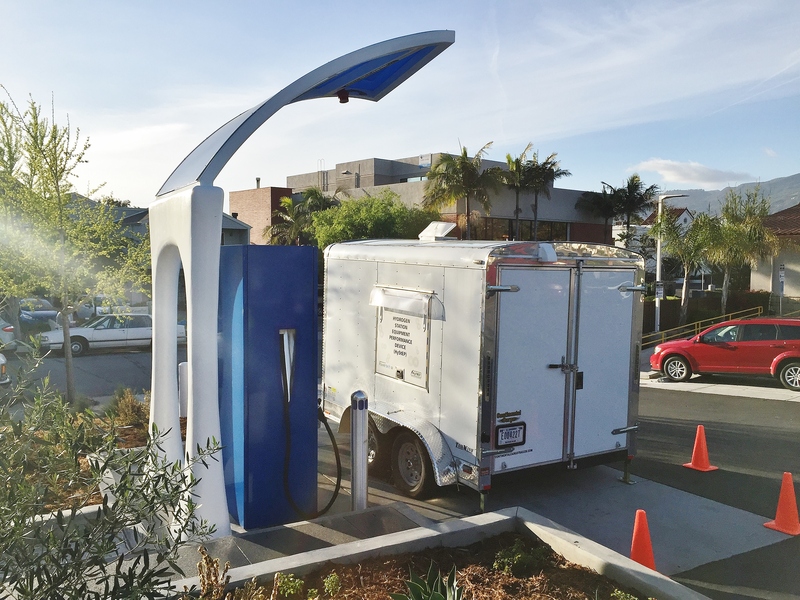 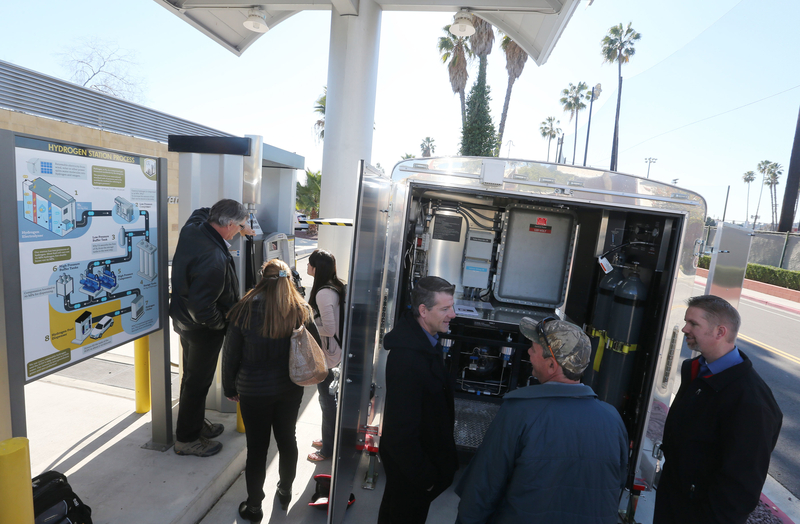 This process is not practical or sufficient to support the timely development of hydrogen fueling station networks in states such as California where new stations are coming online currently and as many as 35 new stations are scheduled to be commissioned in 2016. 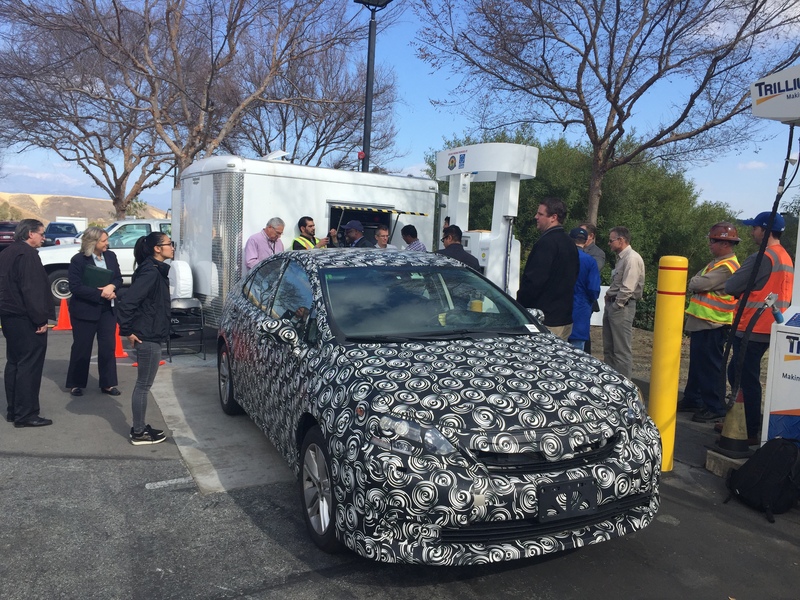 To meet this need, the HyStEP Device will be a safe, technically effective, and user friendly surrogate for OEM fuel cell vehicles that can be used to verify station performance within one week. 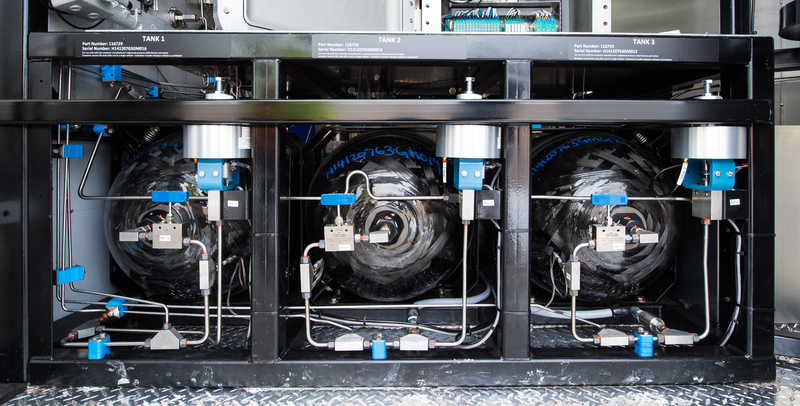 The HyStEP Device includes three Type IV 70 MPa tanks capable of storing a total of 9 kg H2 that are instrumented with pressure and temperature sensors. 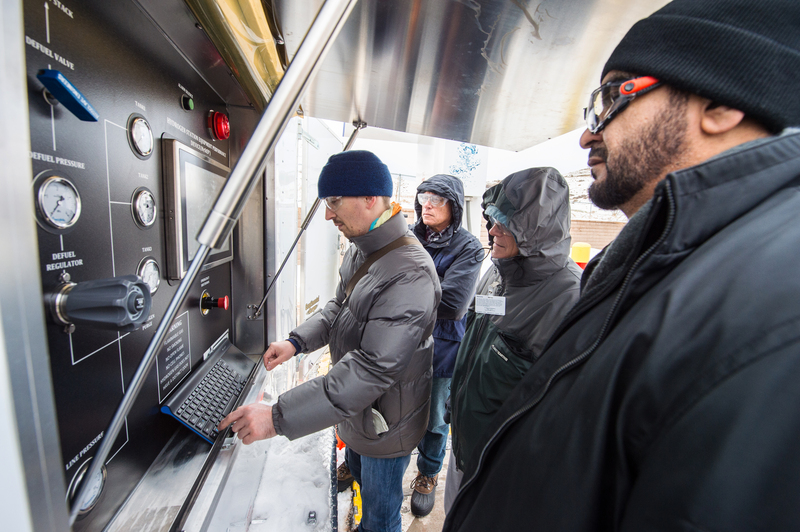 The tanks are connected to a 70 MPa receptacle equipped with pressure and temperature sensors as well as IrDA communications integrated with a data acquisition, analysis, and control system. 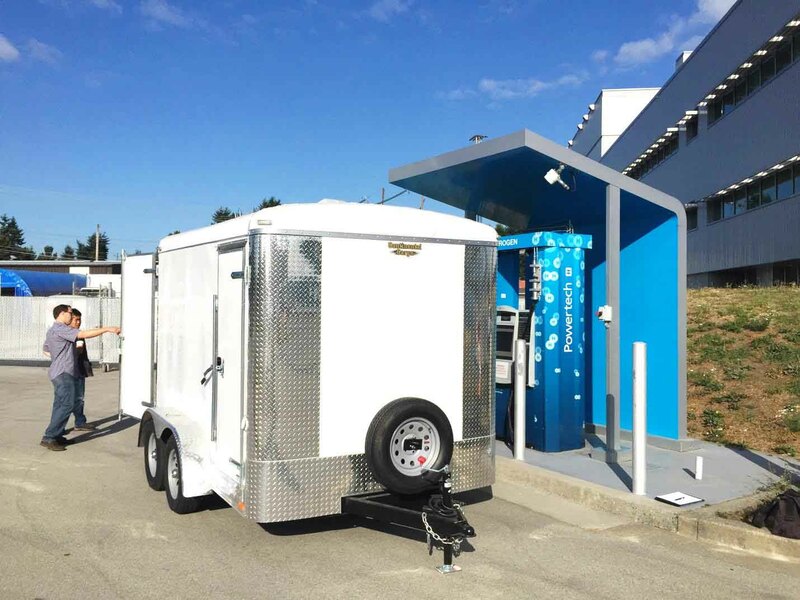 A valve near the receptacle attached to a vent manifold can be used to both simulate a leak for fault detection tests and for controlled defueling. 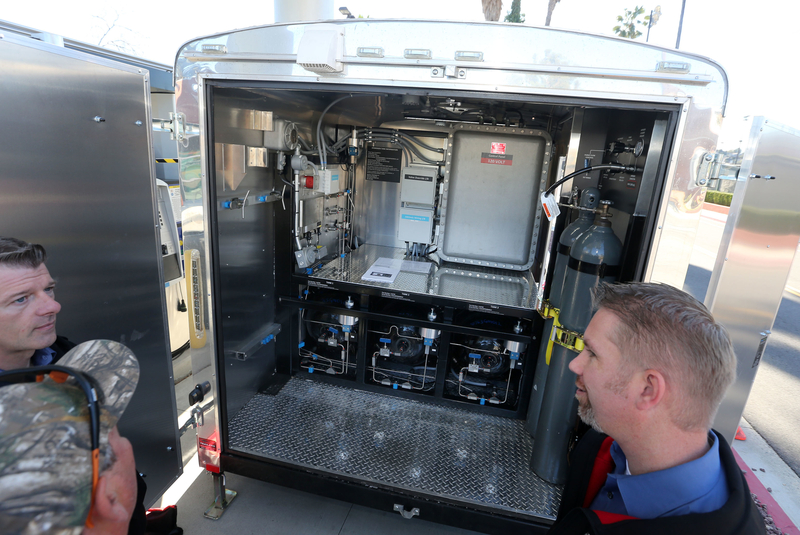 A nitrogen purge system is also included. 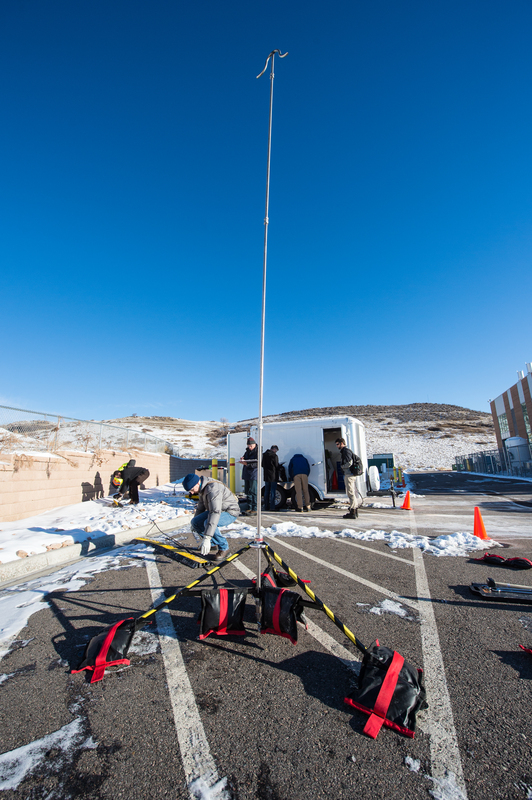 Additional temperature sensors record ambient temperature near the receptacle and various external system temperatures. 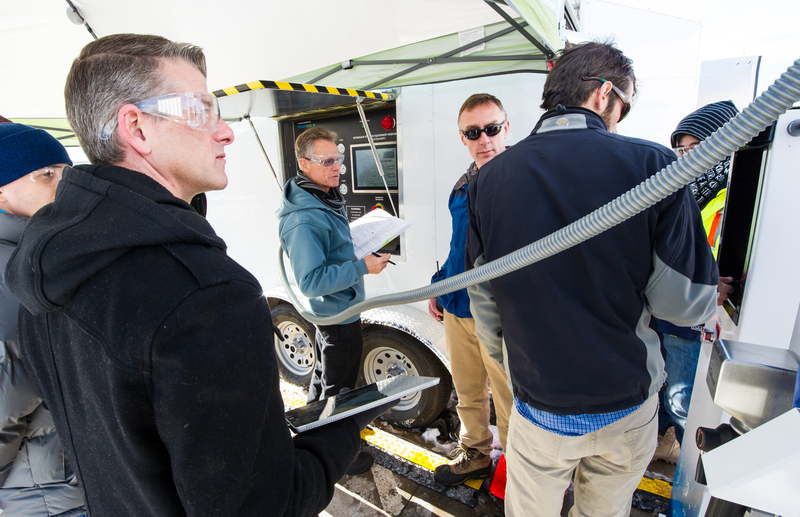 The HyStEP Device is capable of performing key tests defined in CSA HGV 4.3. 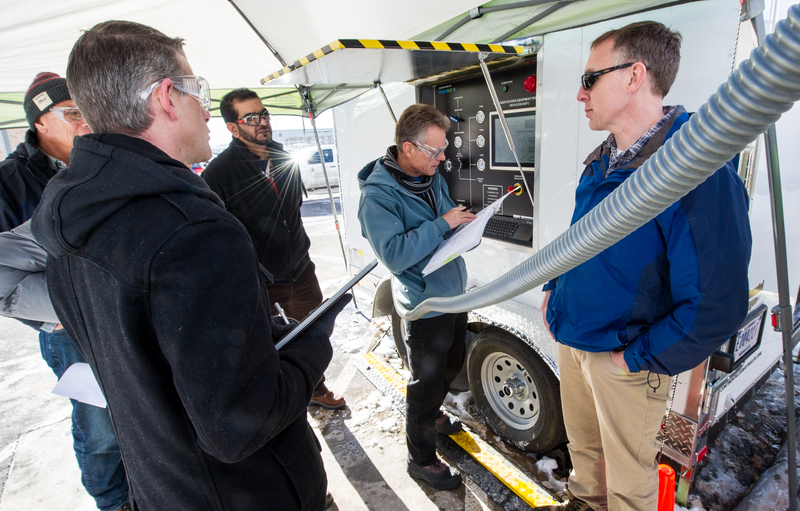 These include IrDA communication tests, fault detection tests, and communication and non-communication fills at 35 and 70 MPa. 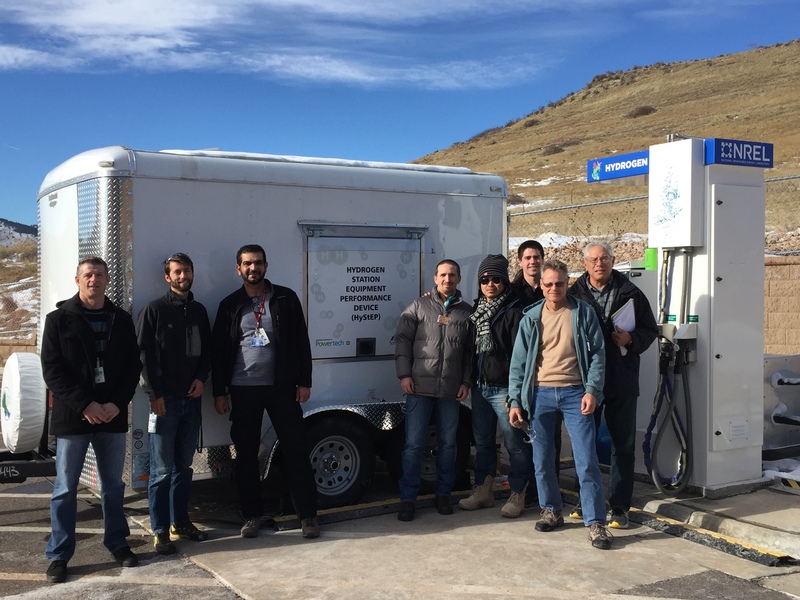 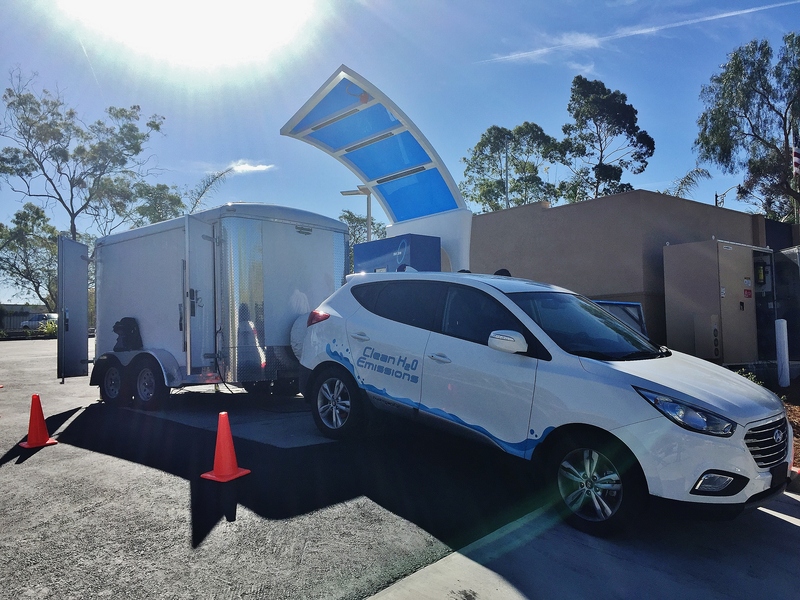 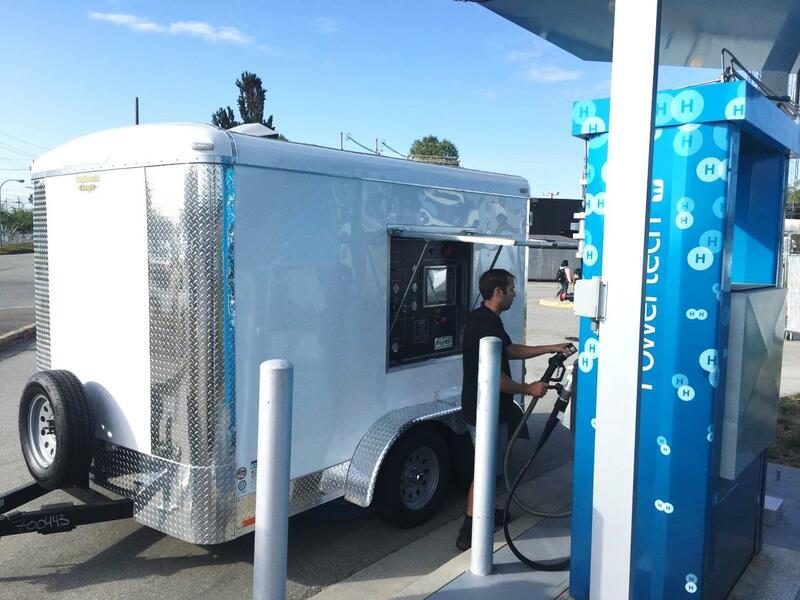 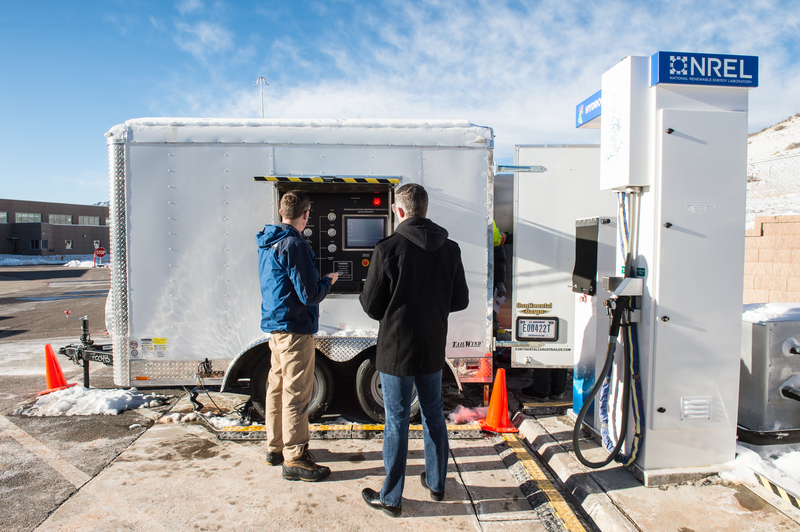 Validation testing of the device will include testing at the NREL Energy Systems Integration Facility (ESIF) in Golden, CO followed by testing at several hydrogen fueling stations in California. 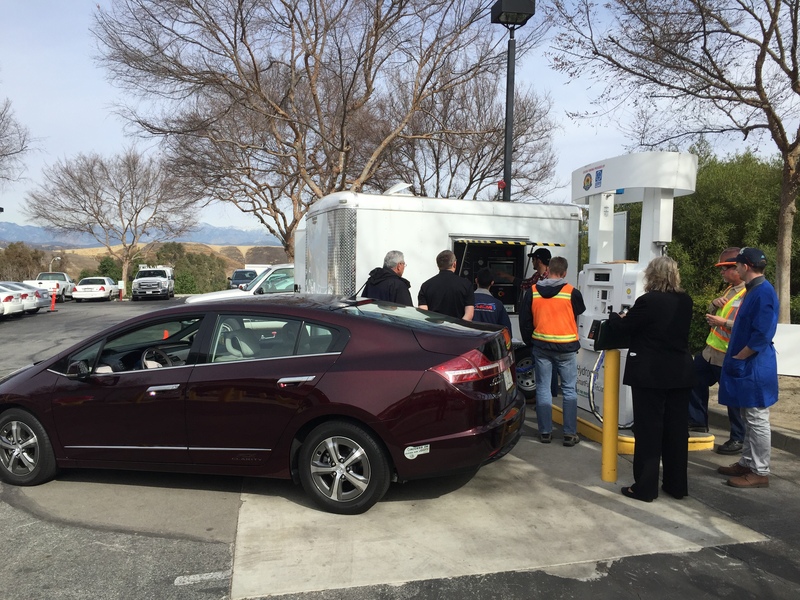 Following these pre-deployment tests, the CA Air Resources Board, in collaboration with other CA state agencies, will deploy the HyStEP Device to support the commissioning of new stations.